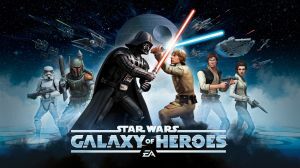 Released during November 2015, Star Wars: Galaxy of Heroes is a turn-based freemium RPG mobile game developed by Capital Games and published by Electronic Arts. Despite it's freemium status it is a pretty cool game which lets you get a hell of a long way into without paying a dime. In fact most standard players would probably be happy with what it gives you for free, we at SuperCheats certainly are. The purpose of this guide will be to take you through starting out in the game, the best way to play battles and the best ways to upgrade your characters and collect new ones. No discussions open for Star Wars Galaxy of Heroes at the moment.